Anker’s USB-C Power Delivery battery packs have been must-own Switch accessories since the day they came out, and now, they’re getting Nintendo certification to make the marriage official. 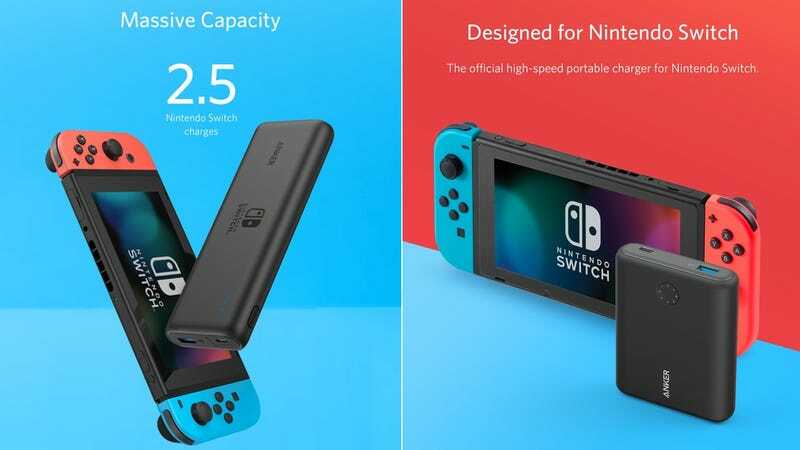 The two new battery packs will be out in July at GameStop and on Anker’s site, in both 20,100mAh and 13,400mAh capacities. The smaller one will cost $70, and as far as we’re aware, it’s set to be the smallest Power Delivery battery pack in existence. It’ll only recharge your Switch 1.7 times, according to Anker, but that’s plenty for most cross-country flights. The larger model can muster slightly faster charging speeds (24W vs. 22.5W), and holds 2.5 full Switch charges. That said, it already basically exists in the form of the PowerCore Speed 20000, which has been on sale for several months already. Looking at both the PowerCore Speed and the Nintendo Switch edition side by side, the capacities and listed charging speeds are identical, so unless you really want the Nintendo Switch logo on your battery pack (and potentially easier support from Nintendo in the unlikely event that things go haywire), there’s no real reason to wait until July. The Nintendo PowerCore’s MSRP is $10 cheaper than the regular one, but it doesn’t include a USB-C PD wall charger, instead encouraging users in its official instruction manual to use the Nintendo Switch AC adapter. That bonus charger is incredibly useful on its own, and is well worth the $10 premium, if you ask us. 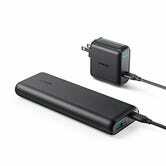 Here’s hoping Anker releases a general market version of the 13,400mAh pack, with the same bundled charger. If you’re taking your Switch on a long camping trip or overseas flight without a power outlet, you can also opt for the original PowerCore+ 26800, which we reviewed here. It’s huge and heavy, yes, but it’s the fastest battery of the three at 27W, and should net you over three full Switch charges.